For over 20 years MPE has been the supplier of multi-line, custom EMC filter solutions for the HVAC systems designed and manufactured by Webasto Thermo and Comfort UK Ltd. The Doncaster branch in South Yorkshire is the global Centre of Excellence for defence market products for the whole Webasto Group, whose headquarters are located at Stockdorf in Upper Bavaria, Germany. These high-specification filters suppress the natural electrical interference emanating from the motors and compressors on Webasto’s fixed or portable air-conditioning, air heater and water heater units serving the crew, engine, cargo or auxiliary equipment. 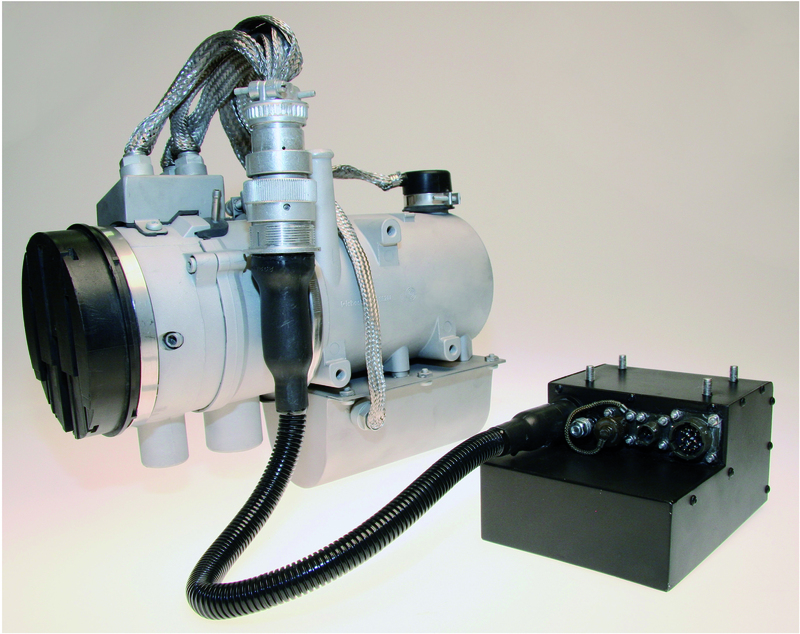 The suppression capability provided by MPE’s custom filters for Webasto’s applications – such as tactical military vehicles, construction equipment and mobile systems – assists individual pieces of equipment in meeting the MOD Standards DEF STAN 23-8 and DEF STAN 59-411, whether for heating (winterisation) or cooling (tropicalisation). The broad and versatile product range offered by Webasto Thermo and Comfort UK Ltd includes the Air Top® range of air heaters and Thermo® range of water heaters, where necessary with waterproofing for fording operations. Air conditioners for crew cooling may be mounted above or below the vehicle roofline. 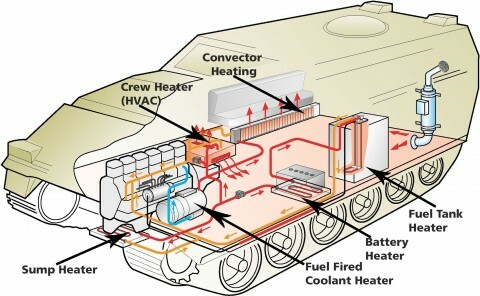 Webasto designs fully integrated heating, ventilating and air-conditioning units with EMI/RFI suppression in partnership with well-known defence vehicle OEMs, to provide full climate control where required.